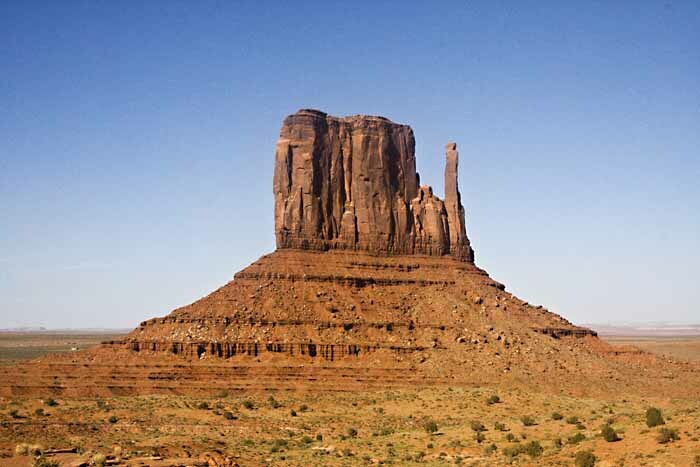 The Monument Valley Navajo Tribal Park (not to be confused with the Navajo National Monument) is located in Monument Valley off of U.S. Highway 163 in the northern part of the Navajo Nation, straddling the boundary between Arizona and Utah. 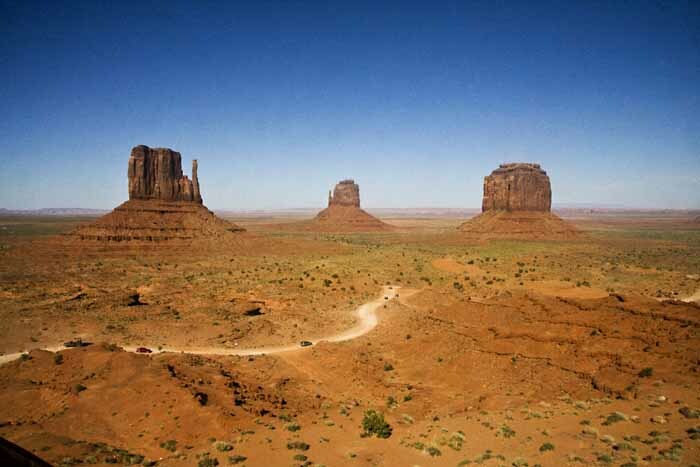 We have placed the park in Utah because the physical address for the park headquarters is in Utah even though most of the park that is usually visited by tourists lies within Arizona. 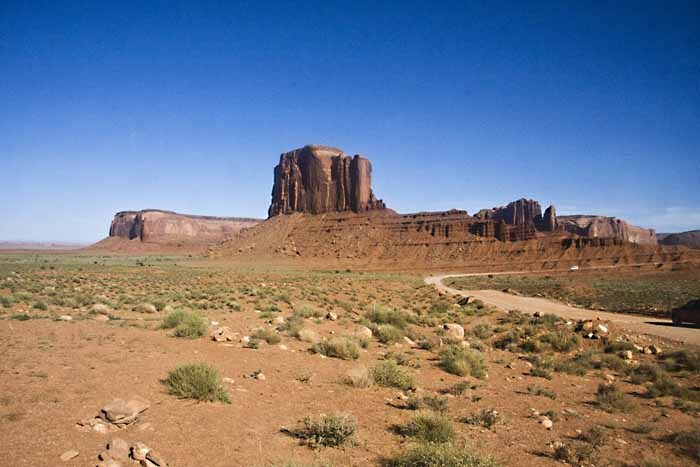 In reality, few members of the Navajo Nation give much heed to the state boundaries. The United States Census Bureau refers to the park as a CDP (census-designated place) because the roughly 400 people who live there have their own special organization that does not fit into the usual U.S. Government definition of village, town, city, etc. It is thought that prior to the advent of humans this part of the country was a large lowland basin. Over millions of years sediments washed down from surrounding high ground and were deposited in the basin. Eventually changes in the earth resulted in this area being raised and a plateau was formed one to three miles above sea level. Millions of years of rain and wind eroded the plateau and carved the magnificent towers, cliffs and spires that we see today. 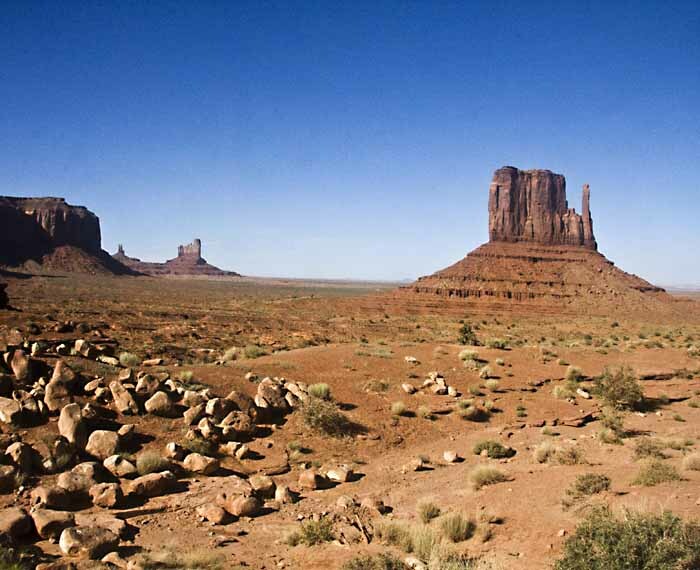 The process is, of course, ongoing and Monument Valley is continuing to change right before our eyes.